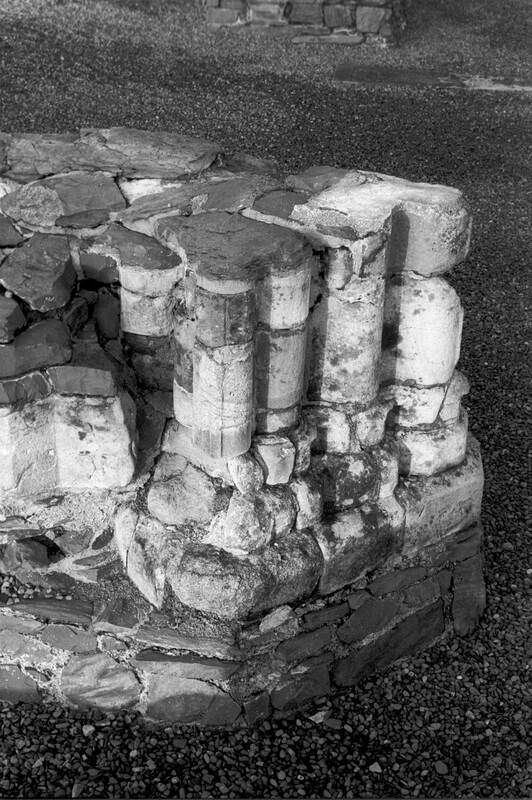 “Cistercian Abbey, Mellifont, County Louth, interior - nave, south - west crossing pier,” Gothic Past, accessed April 20, 2019, http://gothicpast.com/items/show/1352. Photograph by Roger Stalley. View of the south - west crossing pier. Diamond - shaped in plan, the pier has large filleted shafts and bases with elongated bells on the diagonal face. Moulding style is similar to fourteenth - century work in the south transept suggesting they were constructed concurrently. Substantial form of the pier suggests it was required to support a central tower.